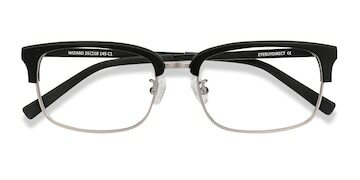 These silver gunmetal eyeglasses are minimalistic chic. 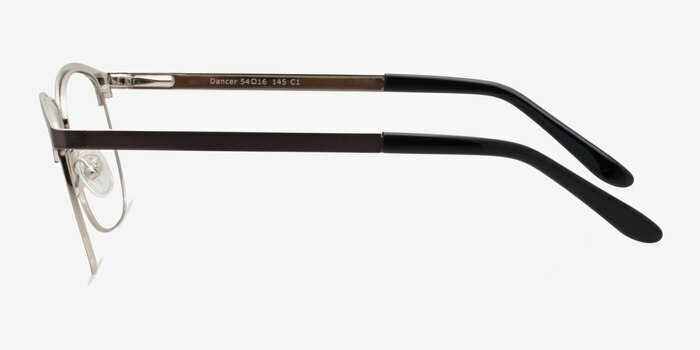 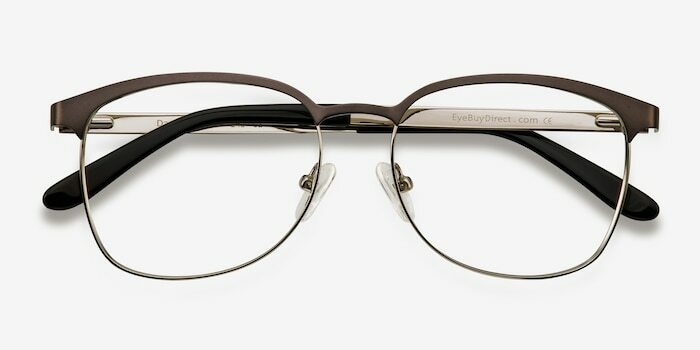 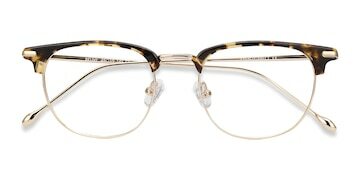 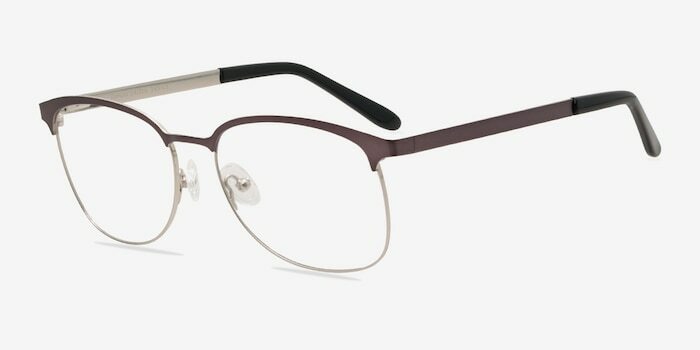 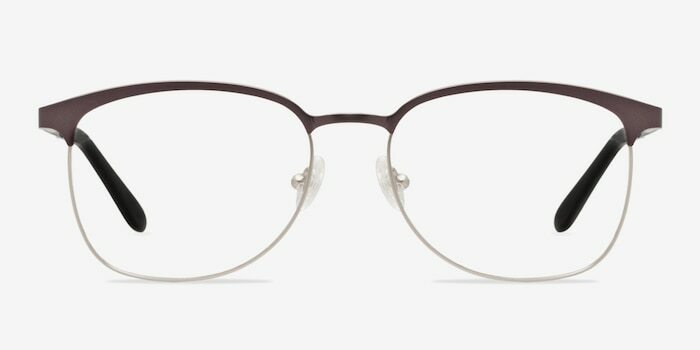 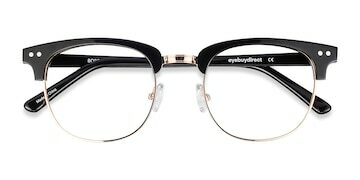 This full metal frame features an emphasized browline in a brushed gunmetal finish with a subtle keyhole nose bridge. 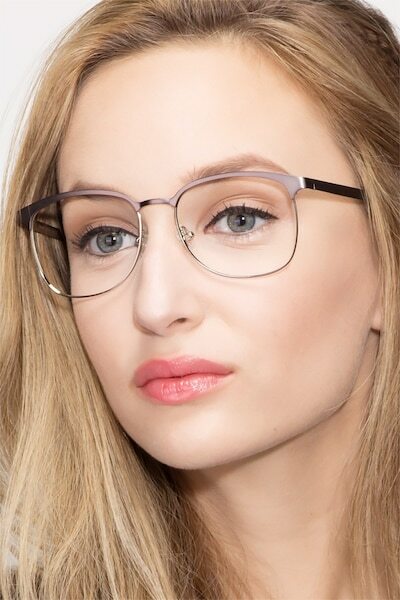 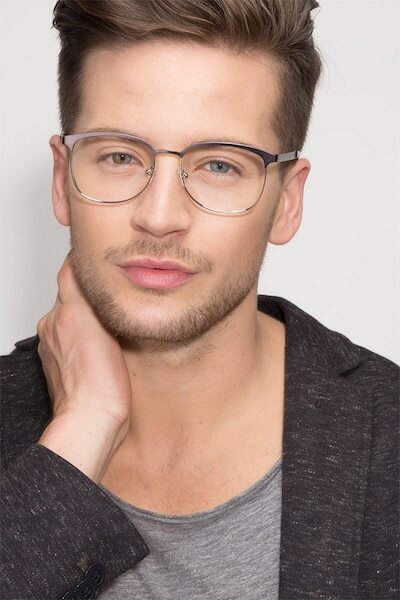 Square shaped lenses help create a trendy look while flexible spring hinges, adjustable nose pads, and acetate are tips make it comfortable.